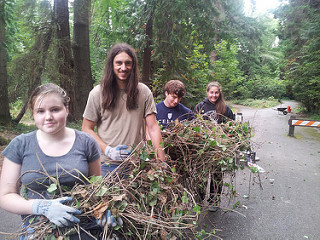 The Red Cross Club exists to provide community service for both the school and greater Olympia community. Meetings are held in Mr. Debruyne's room (A8) on school club days and every other Wednesday at 8 o'clock. We work directly with the American Red Cross: South Puget Sound, Puget Sound Blood Center, Olympia Parks and Recreation, and Thurston County Food Bank. As a result our members almost always have access to community service opportunities. We do not require a certain number of community service hours or club meeting attendances in order to be a member. Club involvement does become a factor when considering volunteers for events that have a limited number of volunteer spots. 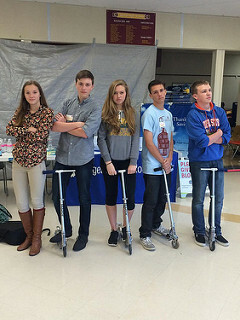 We run school blood drives 3-4 times a year with the Puget Sound Blood center, which are among the the favorite volunteer opportunities of our members. Please feel free to contact our club management with any questions!